My Goal is to help you heal your heart and soul through spiritual & personal coaching. By using my Gift of Intuition, I am able to help you find the blocks that are holding you back. Once I shed light on these blocks I am then able to educate you as to “Why” you have them, and “How” to heal from them. My passion is to help you “Spiritually Awaken” I do this by teaching about where fear comes from, the false belief systems you have about yourself, how your thoughts really do create your reality and that you can absolutely live an authentic life that is full of joy and happiness. You can achieve your dreams, it’s possible! Package Includes Three 60-90 minute 1:1 Sessions and Email support. 60 Minute Phone Session: Within Your Weaknesses are Your Hidden Strengths! This session will address the parts of you that you see as weaknesses but in fact are actual strengths. This will be done by identifying how we incorrectly label our strengths by our misinterpretation of what our gifts actually are. For instance, you may see yourself as weak, but in actuality you are compassionate. Believing you are a weak person, you may feel unwilling to stand up for yourself and enforce boundaries. This results in feelings of guilt for not saying no to someone or something because you are afraid of hurting them, which in turn leads you to your feelings of inadequacy. But by understanding that you are actually a very compassionate person, you can learn the tools to be able to say no and to have healthy boundaries in a way that does not leave you feeling weak but, will leave you feeling at peace with your decision. Issues with Self-esteem will disappear as you realize that you were not the flawed individual you perceived yourself to be, you instead will unlock the wisdom and knowledge of how incredibly gifted and brilliant you really are! By knowing your hidden strengths, you will have a better understanding of what a truly special and unique individual you are. You connect more with your soul leaving you better able to navigate life easier by operating out of a system the has you in the flow of life rather than being in resistance to it. Take Control of Your Personal Happiness Today! Our happiness is the foundation of a good life. Without happiness we have nothing to look forward to in life making it feel meaningless and empty almost like a hopeless, endless existence and that is no way to go through life. We were put here to be the BEST versions of ourselves. To thrive, create abundance and experience life from that place of being centered and happy. Here are 3 steps to get you on your way to experiencing joy every day. This special pricing is exclusively for “Your Divine Uniqueness” and never to be offered at this low price again. 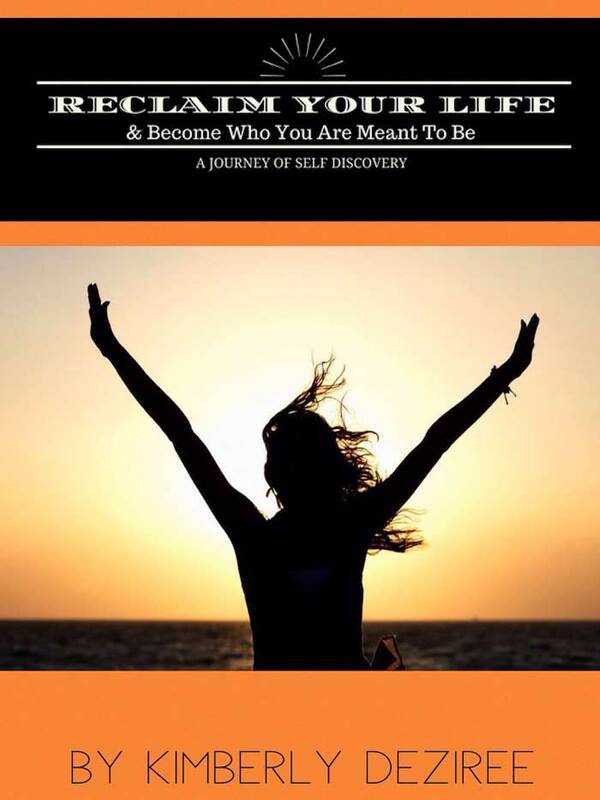 Are you ready to make a commitment to yourself to find your happiness and reclaim your life? If you feel like life is passing you by and you have given up on your dreams because you don’t think they will happen anyways, then this is for you. Join me on a journey of self-discovery so you can gain clarity on your life vision, build self-esteem, and have a spiritual connection with your soul. can move forward with confidence. A system to replace the negative thoughts with empowering thoughts, stop the chatter. How to change how you relate to yourself, so you can trust your intuition. not the cause of the failures and disappointments that have occurred in your life. During our 6 weeks, together you will receive one initial intro to the course with me, then four 60- 90 minute live sessions (via phone), course homework and email support. Lastly, we wrap up the course with a final overview of the course. Discover what it is you REALLY want. Stop living for other people and finally begin to put yourself first. Revisit your long-lost dreams and goals and create a plan to begin achieving them. Together we will get clarity on what personal happiness looks like for you. We will identify the cycles and patterns that serve no purpose other than to bring you unhappiness, understand why they exist in the first place and then release them so you can find your true happiness. Discover the blocks that have been holding you back. Identify and conquer. You will learn how to take down the walls around your heart so you can create the life you envisioned in week 1. We will create a strategy for you to use to start the process of making your vision plan come to life. You will no longer feel overwhelmed, wondering how you will achieve your goals, because you will have the map to use so you can move forward confidently and see quick results. Let me guide you forward on your journey…. Your inner light is waiting to shine. With a little courage and the right mentor, you can finally be seen for who you truly are… a beautiful soul with a purpose. 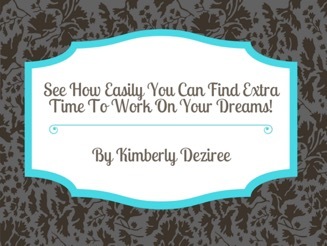 See How Easily You Can Find Extra Time to Work on Your Dreams! Have you ever stopped to wonder where all your time goes? Do you find you are doing more for others and accomplishing very little for yourself? Ever wonder why there just doesn’t seem to be enough time for you and your dreams? No need to despair, many of us ask ourselves the same questions, and usually the answers just seem to elude us. Well not to worry, I have done some research and I have come up with the top 5 questions “you” should be asking yourself in your struggle with “time management”. At the end of this guide, I have provided you with some sample answers/action steps to these questions and also a workspace for you to fill in your own individual answers to these questions. After you complete this workspace section you should have a better understanding of how your time can be managed more efficiently, giving you the extra time that you will need to work towards your “Dreams”! I am so happy you are here. I am Kimberly Deziree, a coach, mentor and survivor of life. I guide you to removing blocks, fears, and self-limiting beliefs that are holding you back from being the best version of you. It is your birthright to awaken to your truth so you can live a life of purpose and peace. I just wanted to take moment to write to you and to let you know how much I enjoyed taking your course “Ready to Start Living Your New Life Vision?”. I am not even sure where to start so I will start by saying “WOW”! I learned so much about myself in this 6 week course that I believe this testimonial will not even begin to describe just how good this course really is. Your presentation of this course was great in that it was direct and to the point. I have taken courses like this before but it seemed to me the instructors were too busy trying to impress the students with their intelligence rather than actually helping the students learn. Your teachings made this course simple because you were talking to us at OUR level, clearly with real life experience making you able to actually relate to what we were telling you about our own lives and issues. The material in and of itself was awesome as well. In its simplicity, we were able understand and get right into the work without any hassle. For myself this course asked questions that I really needed to explore and truly work with. I found myself dealing with issues that started with my childhood and I even discovered some things about my past that I could not have imagined I would find. Once I found them, your insight and assistance as to how to deal with these issues proved a valuable tool, not just for the example I used in the course but for other life issues that I need to work on beyond this class. Overall, I can truly say that this was a “growth” experience for me and I am so glad I decided to take this course. In fact, I truly hope that you have a follow-up course to this one as I would really like the opportunity to dig deeper and see what more I can do to “fine tune” what I have already learned!! I just want to say thanks again for taking me out of my comfort zone. I enjoyed the class and realized I am actually further along on my journey, which is because of You as well. Since the first time we met, over a year ago, I have journal like you told me and I love it, I write down my thoughts and thank god every day for blessing me with all the things I have and for the special people in my life who took the time to reach out to me like you did. I am grateful. I am kind of tough at first but I don’t mean to be. I’m honest and very loyal and unfortunately, expect the same from people and you know as well as I do, we don’t always get that so I now expect nothing, No expectations, no disappointment! Thanks again for taking the time on me especially when you saw I needed more than I did! Kim has an eloquent way of receiving divine guidance when she reads, she was able to provide guidance in areas in my life where I felt lost and needed direction. She helped me understand why my career path was not fulfilling, then guided me to follow my heart to make the changes necessary to move towards a career path that was in alignment who I am. Very, helpful and insightful. Helped lift various barriers, concerns, and struggles. Kimberly does very well at listening and being able to instantaneously come up with helpful approaches and recommendations. I always felt that she was able to understand and connect well with me. We were always on the same page! The sessions are very trusted and they worked out flawlessly. I’m definitely looking forward to working with her again as she helped get me out of my shell and is an excellent support system! Kimberly Deziree is internationally known as the Intuitive “Dear Abby” of the Spiritual Community from her weekly column at Spiritual Biz Magazine. As an Intuitive Coach and Mentor, Kimberly uses her KEEN INSIGHT to help her clients see TROUBLESOME areas THAT SUGGEST ATTENTION NEEDED. 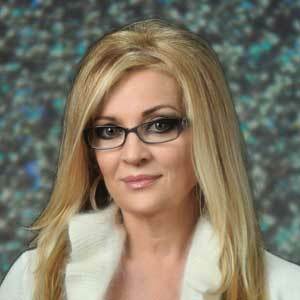 She offers Spiritual & Personal guidance THAT LEADS her clients to a path of healing HEARTS & SOULS. Her writing accomplishments currently include published articles in Spiritual Biz Magazine. The articles are written on noted spiritual leaders such as Michael Mirdad, Collette Baron Reid, Ben and Jen Rode of the world-renowned Rode Institute to up and coming individuals making an impact on the spiritual community. These articles are in addition to her monthly column known as “Dear Deziree” in which she works with people across the globe in a weekly Q & A segment at the online magazine. She is also currently working on her first book which see hopes to see published by mid-2018. Having been a member of Toastmasters, she had the honor of winning 2 speaking awards in the first 3 months of her membership. This achievement assisted her in speaking in front of groups, especially when she was invited to speak to a private group of individuals who were in recovery and ultimately led to her becoming a Certified Recovery Coach. Knowing firsthand from her own recovery, she spoke of the importance of the spiritual piece of healing in the recovery from addiction/trauma. Kimberly has also begun to make her mark in the social media arena as well. Beginning with her FB page, she started creating blogs and videos sharing her journey with those who were following her. This quickly developed into a FB “closed group” page which currently has numerous followers. Due to her ability to share her vulnerability, she has become sought after as a regular guest on local TV and International Radio talk shows, and now even has her own show entitled “Spiritual Awakenings-Your Stories”. 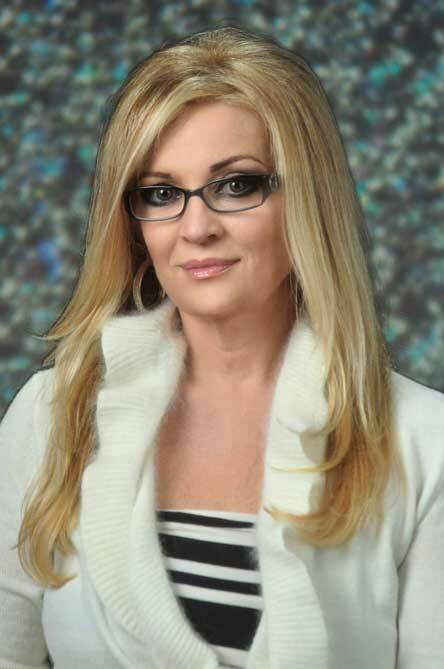 When not busy teaching courses, Kimberly works as a Business Coach and Mentor assisting her fellow Spiritual Business entrepreneurs by utilizing her 33 years of experience as a successful business owner of 7 businesses. She also uses the knowledge attained from her former position as an Executive Director of a Business Consulting Firm to help further her client’s success.